Several times a year, with permission, I use this blog space to share student responses to what they are learning in my classroom. This is the response of a high school senior to an introduction to meditation practice. The diamond mind of sharp, concentrated focus and the profound physical state of relaxation create a terrifyingly brilliant experience. Meditation, deeply and intricately connected to Eastern philosophical cultures, allows an individual to follow one’s own breath to find an inner state of harmony and to develop an awareness of one’s basic goodness. Compassion for one’s self and others is crucial in a harmonious society. Through meditation, guided by the breath, one can leave the chaos and distractions of the external world for inner tranquility. Few things are universal. However, the gentle inhale and exhale of breath, bringing oxygen to the bloodstream and thus enabling life is a common, shared experience throughout the human species. In accordance with Eastern teachings, inner goodness—or the innate and natural tendency toward good—exists within every person, just like the breath. With attention to the breath, one can journey to find ones inner goodness and gain the experiential knowledge that comes from meditating. Many teachings of philosophy incorporate a metaphor indicative of the closed minded nature of the majority of human beings, whether it is the metaphor of the cave in Plato’s The Republic—where all the people watching the shadows on the walls of the cave are in utter disbelief of the world outside and shun the man who has seen beyond—or, as depicted in Shambhala: The Sacred Path of the Warrior, the people who cannot look within themselves to find their own inner goodness and instead live in fear of themselves and the world around them. Our consciousness manifests within the universe in two distinctive states: confusion or liberation. Liberation is the state of enlightenment and meditation is the means by which one can access such a state of internal clarity, peace, and harmony. 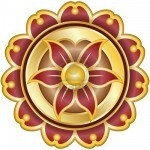 As outlined in Shambhala, basic goodness is the innate good of “being alive” regardless of more material things such as “accomplishments or fulfilling our desires.” To acknowledge basic goodness is to recognize our “actual connection to reality that can wake us up and make us feel basically, fundamentally good.” Through meditation, one can become awake, acknowledge the superficiality of society while maintaining an unshakable understanding of true, basic goodness. Meditation has given me a refuge as I have seen a glimpse of the universe within myself. A spiritual warrior is “one who is brave” and such bravery must manifest in “the tradition of fearlessness”; “ultimately…the definition of bravery [is] not being afraid of yourself.” I often feel disconnected and almost alienated from the world around me when my mind and body are pulled in different directions and even divisions of my mind—my heart, my soul, my conscious attention, my focus, etc—are at odds with one another. In a chaotic world, it is easy to fall victim to compelling and yet opposing forces. If one allows this to happen, the luxury of introspection is lost, as is the awareness of basic goodness. As “synchronizing mind and body is looking and seeing directly beyond language”, I find meditation weds my deepest, most profound inner conflict: how to understand science and religion in relation to one another. The answer, lies within the gentle, peaceful harmony that is buried within each of our chests and can be traced to the gentle rise and fall of the chest with each deep inhale and each beautiful exhale. Throughout our guided meditations, I have become deeply invested in the experiential aspects of learning. My personal experiences have been profound. In the first meditation, I focused intently on the breath. I felt my lungs open as my posture improved, my shoulders rolled back and my head aligned with my spine. As breath pushed my diaphragm out, and my focused dropped from the tension of worldly thoughts, I felt the bright warmth of light radiate within my chest cavity. To articulate my experience in the most juvenile of manners, I felt a tingle, an excitement that radiated from my concentration and my breath that I experienced as a child when waiting for Santa Claus to come, with his mystical reindeer and brightly wrapped presents, on Christmas Eve. In coming out of the first mediation, I found it curious to equate the two experiences, but as I internalized the innate sensation, I realized that I found hope, pure joy, or, ultimately, unadulterated goodness through meditation. As a child, this sensation is easily accessible, as we are not so grounded in the superficial realities we engage in later. However, as we grow up, we fall into our roles in society, becoming fearful of the back corners of our minds. Meditation is our access to clarity and alleviation of fear. My second experience meditating came to me when I heard our teacher say, “Good, the energy in the room is much better now” as everyone’s focus had dropped from their heads to their bodies. In a focused trance I had forgotten those around me. As I heard the vibrations of her voice, reminding me of their presence, I shifted my focus to the energies in the room. Immediately, from the blank, dark of my mind, a spiraling gold light materialized, twisting towards me. Shocked, I abandoned the image and dropped down to the breath once again. Back in class, we spoke about transformational figures and monks who had devoted their entire lives to meditation. ; we spoke of how those individuals have an incredible presence and that their goodness emanates from them at all times. On some level, I believe that everyone has an energy that radiates from within. Without the clutter of language and the trivialities of words exchanged, we can sense others’ presences as I intensely experienced in my meditation. Through meditation, we can find the true, good energy within ourselves and channel it. The Dalai Lama responded in the movie “Kundun” when asked if he was the Lord Buddha, “I believe I am a reflection, like the moon on water. When you see me, and I try to be a good man, you see yourself.” In this manner, each person has unknown, universal goodness within themselves that can be reflected in the eyes of others. In abandoning fear, in diving within myself, in finding harmony between body and mind, I have unearthed a compassion for those around me, as well as for myself. Fear inhibits our potential beyond belief and above my desk, I have the quote “Be fearless: What would you do if you knew you could not fail?” as a constant reminder that so often, the bars of our cages—cages that define our social and cultural experiences in life—are fashioned from our own thoughts of fear and apprehension. To release oneself from such negativity is to sit gently on the earth and allow the soul to reunite with the sky, to find harmony between body and mind is to access basic goodness. To meditate is to find “drala”: “the unconditioned wisdom and power of the world that [go] beyond any dualism.” Meditation allows me to understand my ego and the societal cultivation of empty materialism so as to align myself with the metaphysical or the universal spirit of goodness. Through meditation, I see myself, and those around me in relation to the earth and the sky. Pretty perfect shareed one related to ” Eastern Philosophy—Meditation Practice “. I really stumbled upon your weblog and wanted toread more and more. I hope you will well write up again very soon. I give up you a brief comment to verbalize my thankfulness. I have followed your weblog posts for a period and have got a ton of superub tips and also enjoyed the way you have created your blog. We just desire to reveal to you which I’m just fresh to writing a blog and clearly adored your page. More than likely I am likely to remember your web post . You absolutely have fabulous article writing. Get Pleasure From it for sharing with us your blog post.